891 John Roberts: Did Dieppe Disaster Do Him In…Unfairly? Major-General “Ham” Roberts was born in Pipestone, Manitoba, in 1891. He attended Upper Canada College before entering RMC on 29 August, 1910. He immediately made the football team and remained a member for each of his four years at the College. He was also a member of the tennis and cricket teams. He was a first class rifle shot and made the College rifle team for two years. He was promoted from Corporal to C.S.M. in his final year. Upon his graduation on 24 June, 1914, he was commissioned with the Royal Canadian Artillery. He arrived in France in 1915 and served continuously with the R.C.H.A. until he was wounded in March, 1918. He won the Military Cross at the Somme in 1916. After his release from the hospital he was appointed an instructor at the Canadian School of Artillery. He returned to Canada in 1918 and was soon involved in artillery training at Kingston for the newly reorganized permanent force. He attended gunnery and other staff courses in England in 1921-22 and 1930-31. From the Royal School of Artillery at Kingston he was posted to Winnipeg for instructional duty in 1924, and later was transferred to Halifax for a tour of duty with the heavy artillery. He was promoted to the rank of Major in 1929 and was a Lieutenant-Colonel on the outbreak of the Second World War. He went overseas with the Artillery of the 1st Canadian Division and was in France commanding an R.C.A. brigade in the dark days of June, 1940. When his regiment was ordered back to England on the collapse of France he brought back every gun under his command. He was promoted to the rank of Brigadier on 19 July, 1940, and to the rank of Major-General on assuming command of the 2nd Canadian Division on 6 April, 1942, succeeding Major-General V.W. Odlum. In August, 1942, he was appointed military commander of the Dieppe Operation. The force under his command on 19 August for the Dieppe Raid was composed basically of large element of two brigades of the 2nd Canadian Division. For conducting himself with “ability, courage and determination” in this operation, which he conducted from the bridge of a destroyer while under heavy fire, he was awarded the D.S.O. France recognized General Robert’s merit and gallantry by awarding him the cravat of Commander of the Legion of Honour and the Croix de Guerre with Palm. It has always been the lot of the professional soldier to spend long years in training for the few brief hours of command in battle. And when the time comes, fate may be kind of unkind. To Maj-Gen. John Hamilton Roberts fate could not have been more cruel. It was his lot to be in command of the expedition against Dieppe. It proved to be one of the most disastrous expeditions in history, when more than three fifths of the attacking force were killed, wounded or captured. It was, in effect, transferred to the command of Canadian reinforcement units in the United Kingdom. As the silent centre of this controversy Maj.-Gen. Roberts spent the rest of his life. All his earlier military career was forgotten in the ceaseless debates about those hours in command in the English Channel. Few recalled that he had had an admirable career in the First World War, winning many decorations; or that he had been one of the permanent force officers that had kept the professional military tradition alive in Canada; or that he had high reputation for raising recruits rapidly to a high point of excellence; or that he was in France during the Nazi invasion and was the only officer in the allied forces to withdraw with all his guns. Had it not been his fate to have command of the Dieppe Raid, he would very likely have gone on to important and active command at D-Day. Whether any man in command of the Dieppe Raid could have done better with the general instructions given him by superior officers, or with the equipment provided, is doubtful. Maj.-Gen. Roberts himself later remarked upon what might have happened if only two old battleships or cruisers had been present to increase the firing power. But wiser than many generals, Maj.-Gen. Roberts made little attempt at the sort of personal defence that would only draw him into attacking others. He spent some of his later years as one of the chief administrative officers of the Imperial War Graves Commission, smoothing the resting-places of the fallen. 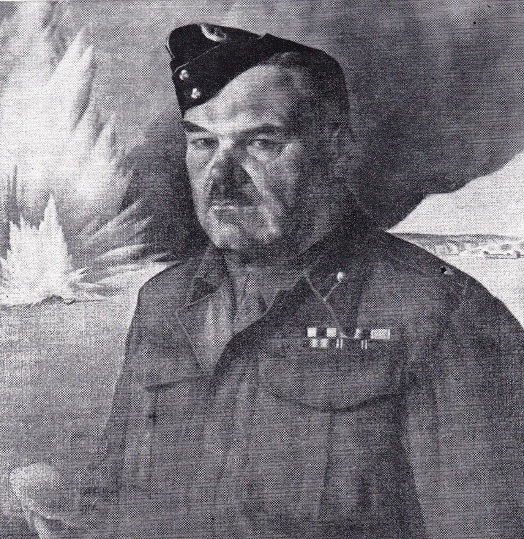 Later in 1942, General Roberts was given command of the Canadian Reinforcement Units in the United Kingdom. In 1945, on his retirement from the Army, he was appointed chief administrative officer, Central European District, with the Imperial War Graves Commission, a position he held until 1950. He retired to Les Mouettes, Fauvic, Jersey, Channel Islands. He died at his home on 17 December , 1962. Among the many tributes paid to his memory is that of Major-General W. A. B. Anderson, O.B.E., C.D., Adjutant General and senior serving artillery officer in the Canadian Army: “I have the warmest personal recollections of General Roberts. When I joined the Army in 1936, he was my battery commander. He was a most humane man, interested in others, with a strong sense of pride in his profession. He served Canada and the Canadian Army for more than forty years”.